Harmony Studio features modern and versatile equipment and a team of experienced and creative sound engineers, video editors and artists who have worked in the Bulgarian National Radio, Radio Express, the National Palace of Culture and with popular Bulgarian and foreign acts, such as The Crickets, Ani Lozanova, Gravity Co., B.T.R., Vassil Petrov, Vania Kostova, Doni, Rebecca St. James, etc. 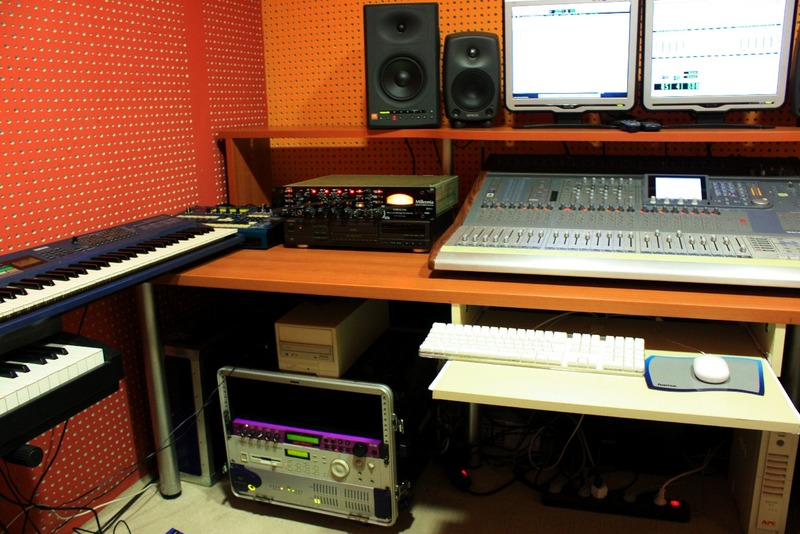 music production: writing, arranging (including orchestration) and recording (we are active musicians and co-operate with a network of music conductors, as well as pop, rock and classical musicians). Shure SM57 vocal and instrument cardioid dynamic mic and Shure Beta 56 instrument mic, ideal for brass and wind instruments, guitar combos, etc. various high-quality stomp boxes by BOSS, MXR, Ibanez, Snarling Dogs, Tech 21, Morley and Digitech. E-mail at office@harmonymedia.net or call +359 888 250 376 to find out about flexible pricing policy.